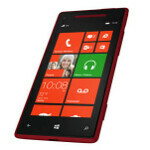 December has been the month of the amazing shrinking price for the HTC Windows Phone 8X at Verizon. The phone started the month at $199.99 on contract, and dropped to $149.99. Throw in a $50 online haircut and the device can now be purchased for $99.99 online. Unlike the AT&T version, the Verizon model comes with wireless charging technology embedded in the rear cover of the phone. All you need to do is purchase the wireless charging pad. The 4.3 inch screen has a 720p display which works out to a Retina display busting pixel density of 341ppi. Under the hood, the phone offers connectivity to AT&T's HSDPA and has comes out of the box GSM unlocked letting you roam on other networks. And don't forget the Beats Audio technology that comes with the phone. 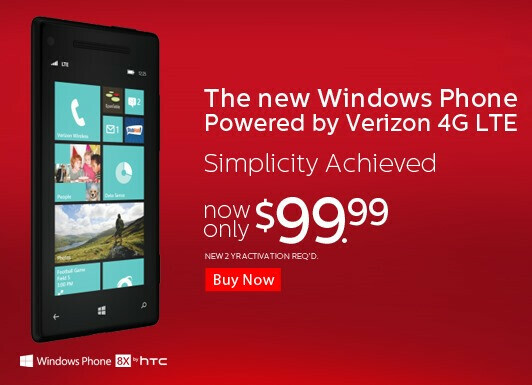 We have no idea how long this price is going to last for, so if the HTC Windows Phone 8X is the phone you've been wanting, you might want to take advantage of this deal now. Best Buy and Amazon Wireless both have it for $49.99 right now. yeah but best buy and amazon don't have to deal with customers complaining about this issue or the other your walking into a verizon store to cry about it. so why not charge'em less if they are just selling it.